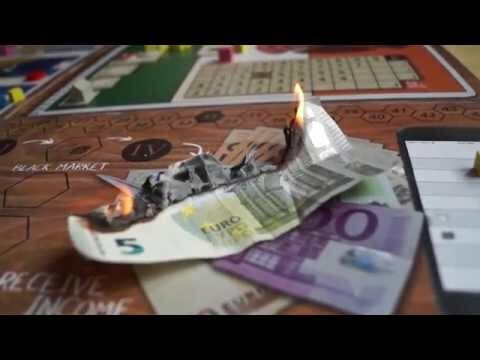 €uro Crisis társasjáték - Magyarország társasjáték keresője! A társasjáték érték! Az €uro Crisis egy nagyszerű társasjáték, 3 - 4 játékos részére, az átlagos játékidő 1.5 óra. A társast, 14 éves kortól ajánljuk kipróbálni. A játékmenet erősen épít az aukció/licit, az egyidejű akciók és a szimuláció mechanizmusokra. 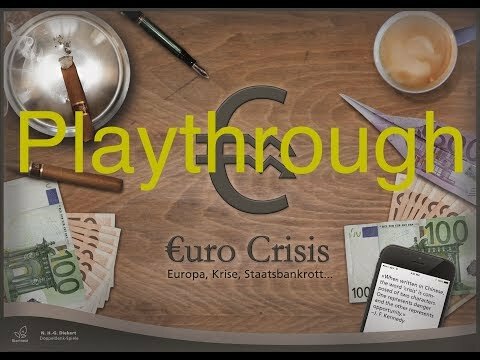 €uro Crisis is a tactical as well as a satirical game for 3-4 players about the financial crisis in Europe. The players take the roles of banks with the goal of enriching themselves at the expense of the struggling states. One game lasts for three years, with each year divided into four quarters. In each quarter, all players choose their action simultaneously and resolve them in turn order. 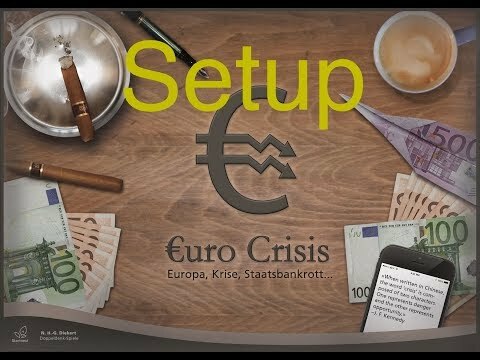 As an action you can borrow money from the European central bank just to lend it in another action to the struggling states. You'll get good interest rates, especially when the state is nearly broke! But always be aware of the possibility that a state might have to restructure its debts. From your earnings, you can buy gold and weapons. Gold is used to bid on privatizations of state property, which is the one thing that will truly be worth something at the end of the game. Your weapons can be used to defend your privatizations from an angry mob — or you can give them to decent citizens, just to see how the new privatization of another bank becomes public again. Last but not least, you have to be a good lobbyist to gain exactly the government or the reforms you want. In the end, the player with the most points wins. Beside the privatizations, mainly income, but also gold, weapons and money add a few points.